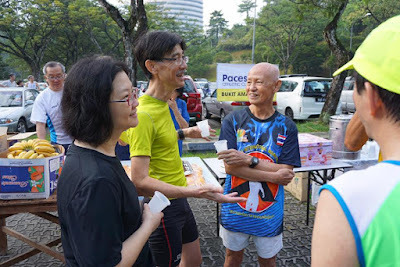 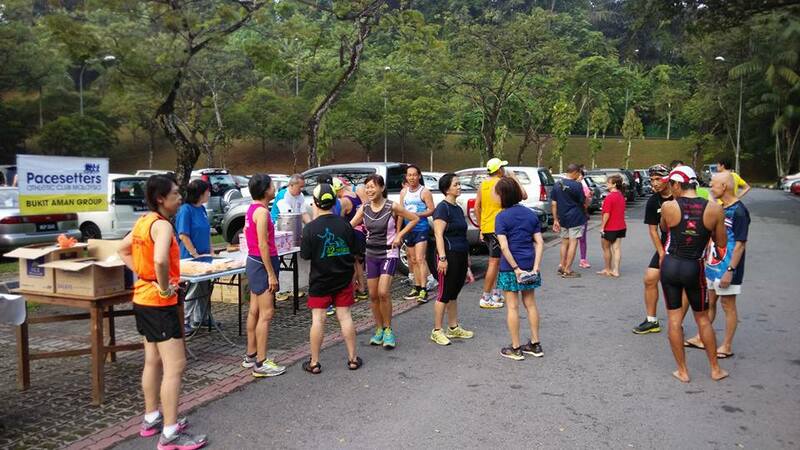 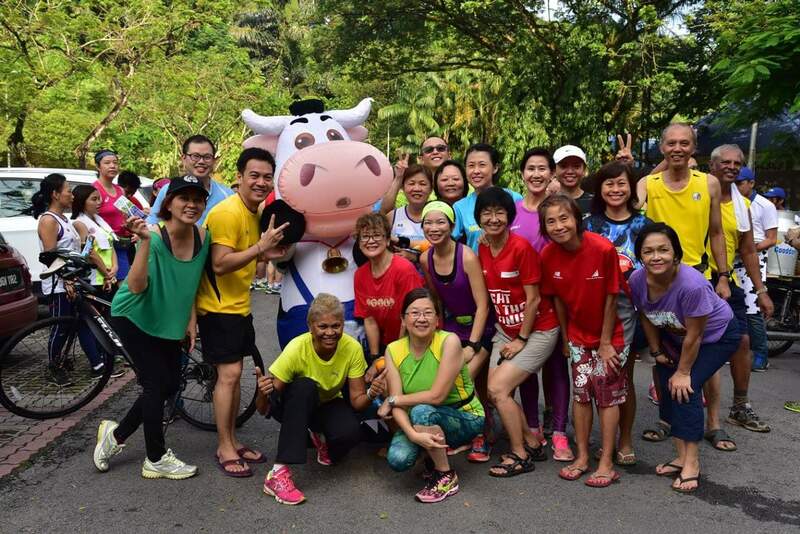 Good to see runners bringing their wives, mothers, teenagers and new faces to the Founders Day Breakfast Run on 5th June at Padang Merbok. Shook Fun brought her mother, who was a runner and now walks. Yap Yoke Moi brought 2 teenagers and Eunice, a young intern. Joseph Leong, Daniel Tan and I brought our wives. 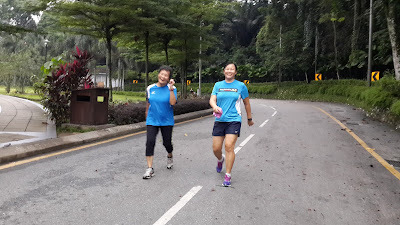 Li Leen brought 2 of her relatives. 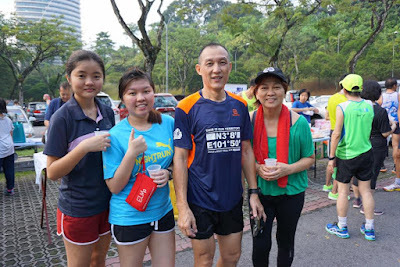 I am sure many more runners brought non or not-so-regular runners. There were sweepers for each of the 3 distances – 11km, 8km and 5 km, so new runners didn’t have to worry about not finding their way back. 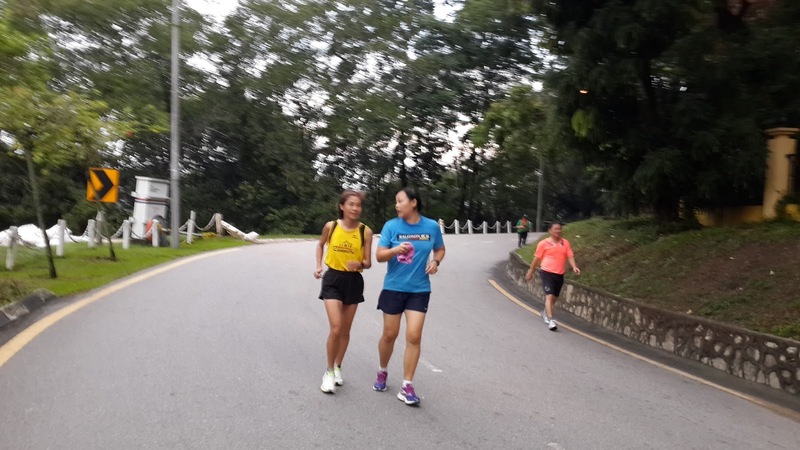 The 5km route does not make it too intimidating for the beginners. 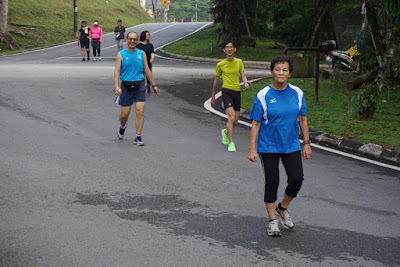 When I reached Padang Merbok, the 11km group was just starting off. 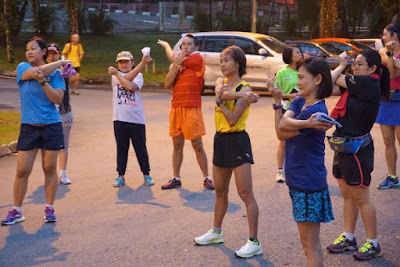 The rest of us did some light stretching before we started. Despite being a slow runner, I was asked to lead the 8km group with Li Leen being the sweeper. 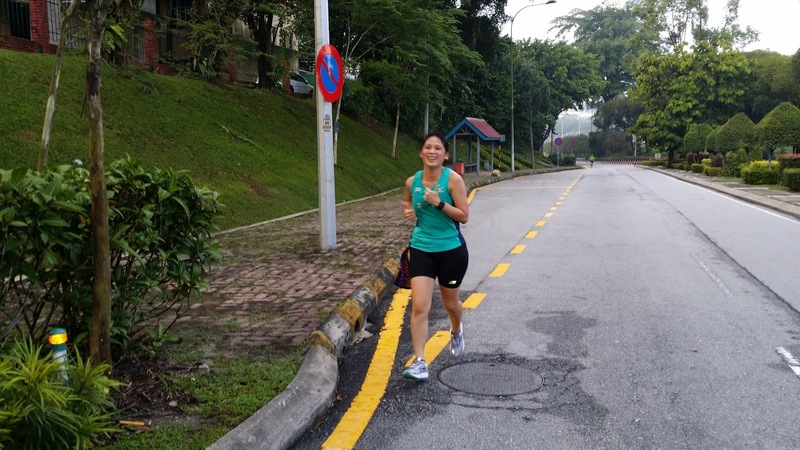 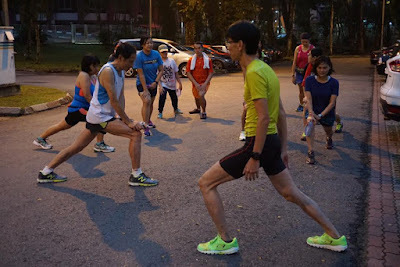 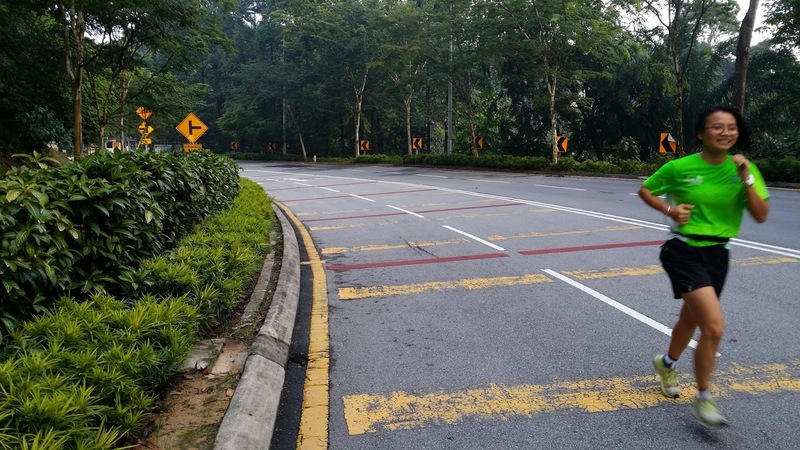 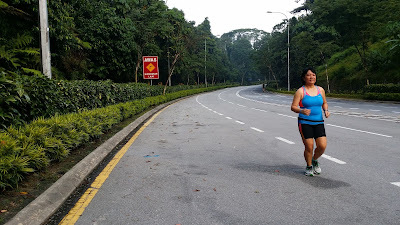 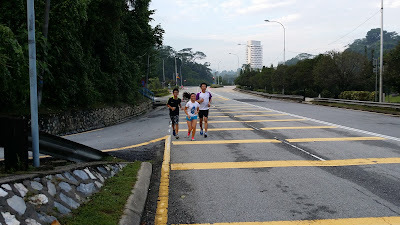 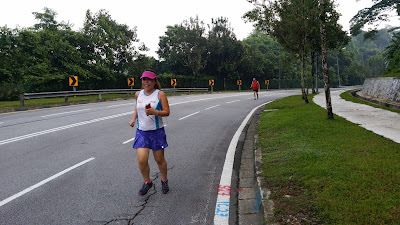 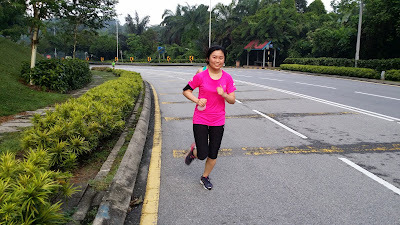 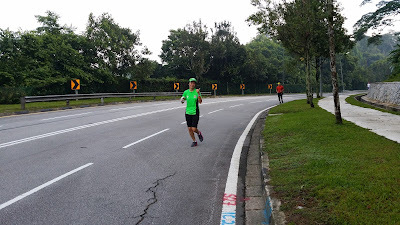 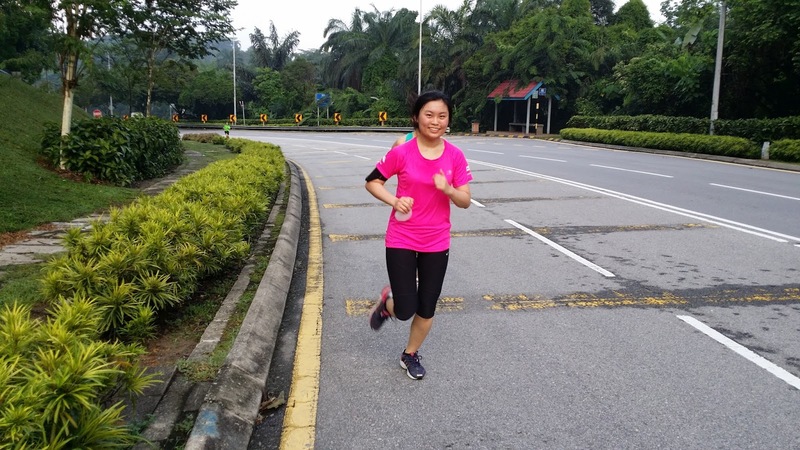 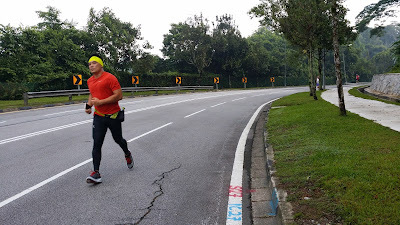 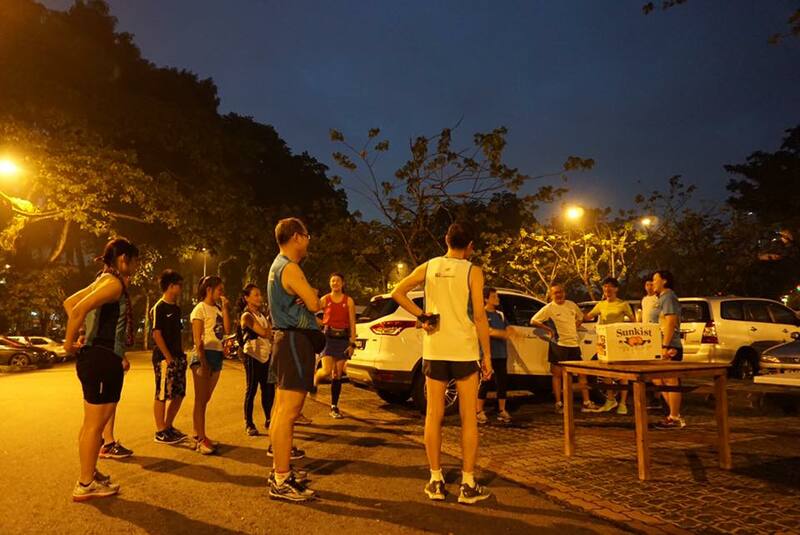 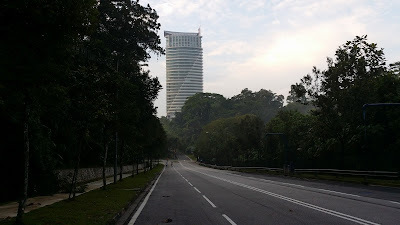 We jogged the Double Hill route with a diversion (short cut) at the Langgak Tunku junction. 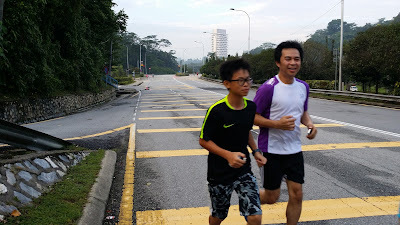 It was a slow pace jog, and I think the group enjoyed the leafy and quiet Sunday morning route. 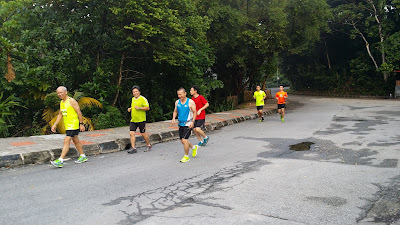 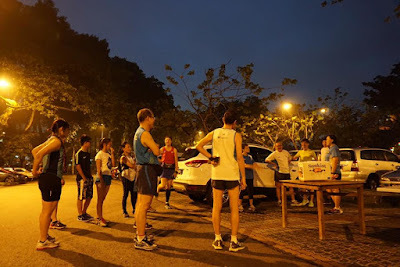 I took photos during the jog and arrived back at Padang Merbok after most had returned. 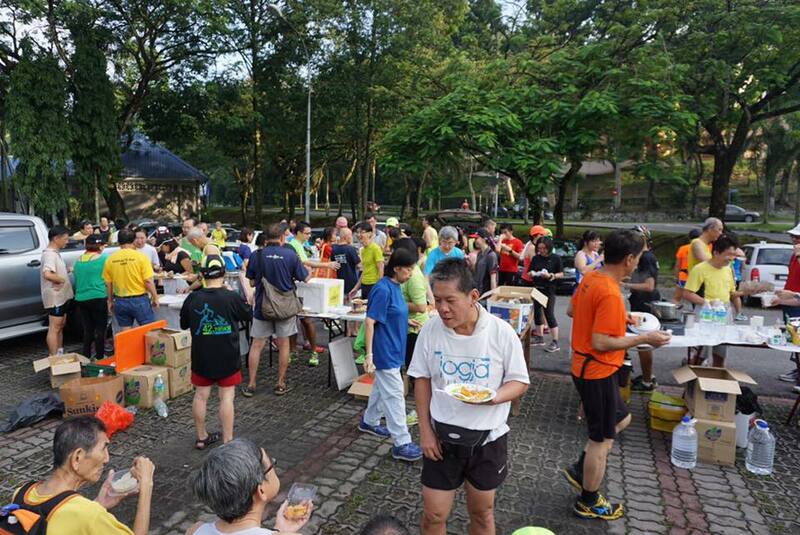 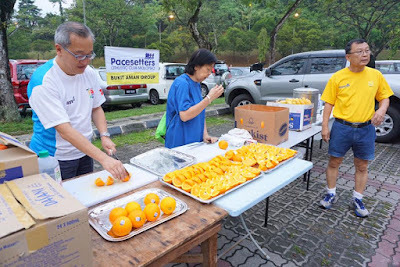 For breakfast, more than 100 participants enjoyed bananas, oranges, tau foo fah, cream puffs, nasi lemak, roti jala, 100 Plus and water. 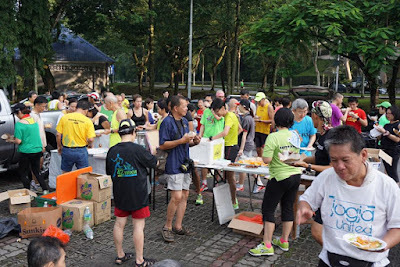 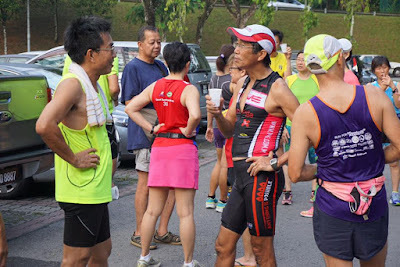 These Breakfast Runs are very good value – RM5 for non members – and a great way for people to start doing some exercise. Three founding members, Munning Jamaludin, Cheah and Hooi Siew Weng were present. 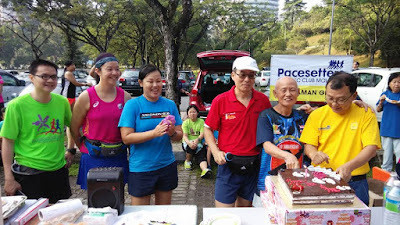 Cheah had already left when the club’s 32nd birthday cake was brought out, so only Munning and Uncle Hooi got the privilege to blow out the candles. 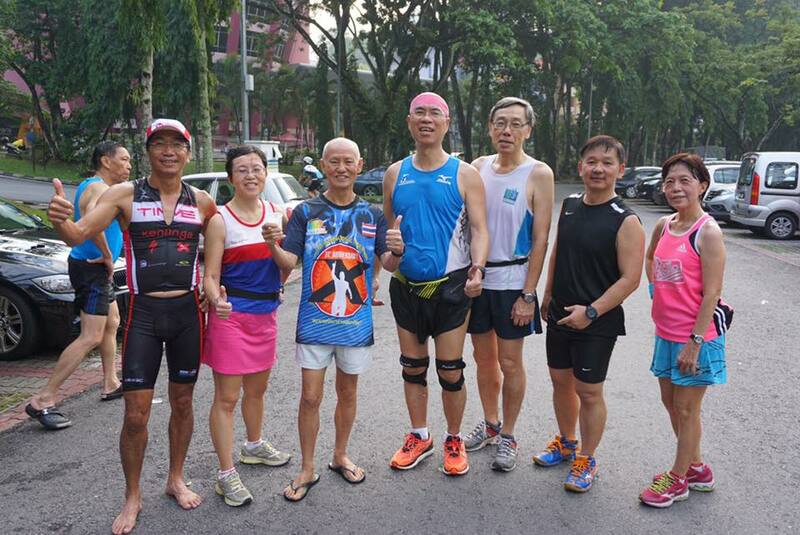 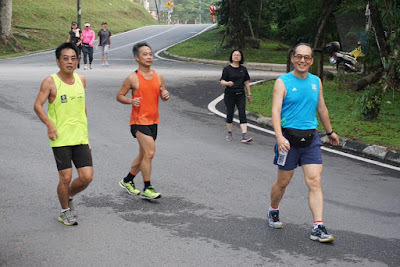 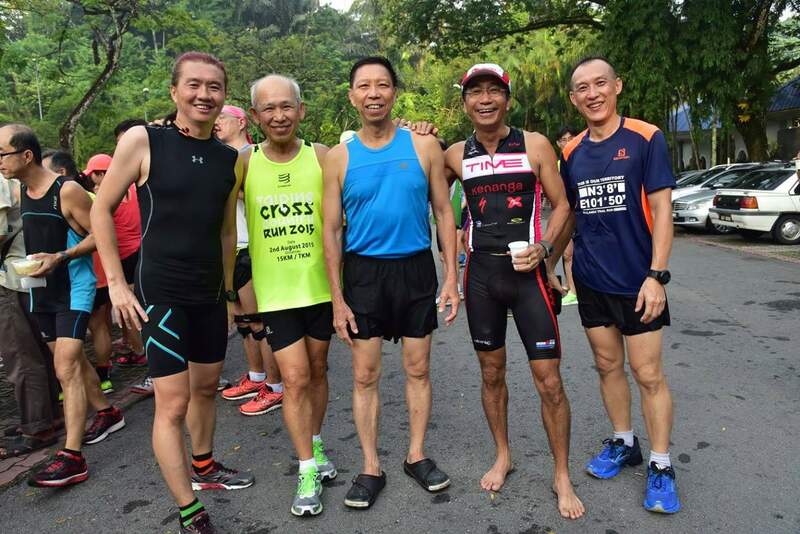 Uncle Hooi, 79, who still does 1 marathon a year, runs 3 times during weekdays of 15km each and a 20km on Sundays. 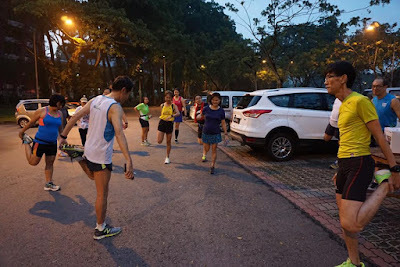 He doesn’t have any knee problems, I reason, because of his light frame and he lands on his forefoot. 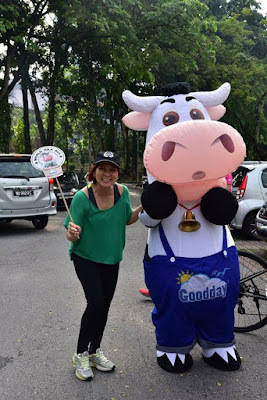 Towards the end of the breakfast, about 5 promoters of Gooday Milk came and distributed cold packages of plain and flavoured milk in conjunction with World Milk Day (1st June). I must say the cold UHT plain milk tasted fantastic, especially after a run.